5G success depends on the access to contiguous, wide and globally harmonized new frequency bands. Exclusive licensed spectrum is essential for providing the expected QoS and for securing investments, shared spectrum usage (e.g. by LSA scheme) is a suitable supplementary option. METIS-II has analyzed new ways to authorize use of spectrum, targeting more dynamic and local use of spectrum, adaptive spectrum resource management (over time periods of seconds as well as the integration of new spectrum for backhaul and access. METIS-II analyzed the spectrum demand for its main use cases (xMBB, mMTC, Car2X, URLLC). A novel system concept for spectrum management and sharing as well as a holistic functional architecture has been designed, and enhanced by additional enablers (context awareness, QoS). The use of spectrum databases (similar to enhanced LSA) is foreseen, with interfaces to network and resource management. Further details can be found in Project Deliverable D3.1 and Project Deliverable D3.2 ! METIS-II has established KPIs and common simulation guidelines for the evaluation which were consistently used within the project. Along these lines it has evaluated the proposed designs and technologies, thus motivating the design decisions taken. In addition, an overall KPI analysis was done which confirmed that all inspection KPIs that were defined in the beginning of the project can be fulfilled by the final METIS-II system design. Further details can be found in Project Deliverable D2.3 ! METIS-II has established an open visualization platform based on the 3D rendering engine Unity3D, which can be used to illustrate key 5G concepts and their performance and benefit to society in a detailed 3D model of a typical European urban center. The platform is designed such that it allows for different forms of usage, from the visualization of pre-calculated simulation results, to the real-time interaction with simulation platforms, offering easy interfaces and forms of programming that allow other projects and individuals to use the platform at very reasonable effort. In the final version of the visualization demo prepared by METIS-II itself, a wide range of architectural concepts are visualized in an appealing and intuitive way, and 4 detailed functionalities are being illustrated through real-time simulations. Further details can be found in Project Deliverable D7.3 ! A software-based visualization tool demonstrating the potential benefits and highlighting the basic features of 5G mm-wave communication systems has been developed during the lifetime of the mmMAGIC project. More specifically, the visualization of three key technology features of the mm-wave 5G radio interface has been developed, through the demonstration of the interactions among antenna alignment and beamforming, link and system level analysis, and significant RAT optimization metrics (e.g., focusing on power efficiency) that enable multi-RAT deployments within heterogeneous networks. With the aim of documenting the visualization studies, exemplary video footages have been produced, where the mm-wave 5G capabilities have been demonstrated by means of visualizing the potential of significant performance metrics, such as beam tracking and mobile user throughput. Further details can be found in Project Deliverable D1.3 ! METIS-II has provided the design underlying the 5G air interface and the definition of a framework for the harmonization and integration of the different Air Interface Variants (AIVs) which can specialize on different services and do include LTE(-A). This integration happens at RAN level, it allows to re-use most network functions and it foresees a common RAN-CN interface. It has described the logical split between RAN and Core Network (CN) together with the interfacing options. Functions like mobility and paging that may be shifted from Core to RAN to better support new 5G services. This architecture is being complemented by a framework for agile resource management including functional, protocol and deployment perspectives. An analysis of the split options that exist in the RAN has been carried out for the both the control and user plane enabling deployment topologies between fully centralized and fully distributed and supporting the spectrum management described above. Further details can be found in Project Deliverable D2.4 ! The COHERENT system architecture has been designed based on three key concepts: i) control separation (logically centralized control and local real-time control), ii) network abstractions and iii) network slicing. It provides a programmable control and coordination for heterogeneous 5G radio access networks (RAN). Network Abstraction is the key to drive such control programmability in 5G networks. The architecture facilitates the network slicing operation at the RAN level by the concept of abstracted (physical and virtualized) infrastructure, which simplifies the implementation and deployment of control and coordination functions over heterogeneous RAN. A number of use cases, including multi-tenancy, device-to-device (D2D) communications, broadcast operation, user equipment (UE) relaying operation for public safety service, multi-connectivity and mobility management are analyzed under the COHERENT architecture. The COHERENT architecture and user plane – control plane separation of RAN have been promoted to 3GPP RAN3 through a set of contributions. Further details can be found in Project Deliverable D2.1 ! 5G is a key economic driver for the EU when it comes to the new business it will enable. Full realization of the 5G vision requires looking beyond current telecom approaches, decoupling from specific hardware and physical control of the network. This invalidates many approaches to the design of mobile network security architectures. To address this, 5G-ENSURE delivers a 5G reference security architecture with focus on a logical and functional architecture and omits (most) aspects related to physical/deployment architecture. This focus is motivated by general trends such as network de-perimetrization as well as 5G systems’ strong dependency on software defined networking and virtualization in general. Specifically, the core of the 5G-ENSURE security architecture extends and revises the 3GPP security architecture from TS 33.401 to integrate domain concepts derived from 3GPP TS 23.101 to better support 5G trust models, going beyond “telecom” and “mobile broadband”. Strata are used to characterize different functional aspects and security feature groups, finally, are used to describe security objectives. Further details can be found in Project Deliverable D2.7 ! CHARISMA project takes into account the fact that at the architectural level, achieving low latency (service level) requires data to be handled (i.e. routed or processed) as close to where it is required (i.e. either at the receiving end or at the source end). Indeed, this implies that a low-latency architecture requires network intelligence to be located as near to the edge as possible, such that traffic which is expected to remain local never needs to travel towards the core of the network; and in this way minimizes transmission latency. Thus CHARISMA’s distribution of intelligence closer to the edge provides physical, logical and functional advantages as compared to the more conventional centralized architectural approach. Further details can be found in Project Deliverables D1.1 and D1.2 ! 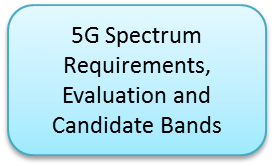 The 5G NORMA project instantiates different slices such that each slice may be potentially orchestrated in a different way, and thus be tailored to the requirements of a specific service. This requires the coordination of resources between different slices, which leads to the introduction of a new compound Software-Defined Mobile Network Control (SDMC) architecture, that, by extending the legacy SDN capabilities, allows controlling both the resources dedicated to each slice as well as those shared among slices. The controllers expose an API that enables customization through network programmability, especially of those network functions shared by multiple slices. Further details can be found in Project Deliverable D4.2 ! The 5G-XHAUL project proceeds to the dimensioning of transport requirements for different candidate 5G RANs, including below 6GHz massive Multiple Input – Multiple Output (MIMO) and mmWave RANs, and a variety of potential functional splits including L1 processing at the RRH, lower MAC and upper MAC splits. Also it proceeds to the design and demonstration of an advanced antenna system for massive MIMO featuring 96 antenna elements and integrated L1 processing to reduce fronthaul data rate requirements by a factor of six to twelve, depending on the number of virtual ports employed. Further details can be found in Project Deliverable D2.1, and D4.12. A key driver for 5G is the emergence of intelligent transportation systems (ITS), particularly relying on high-speed, ultra-high reliable and secure digital connectivities. Intrinsic to such ITS infrastructure is low-latency operation of the network, both for end-to-end connectivities (e.g. as required for real-time sensor data to and from moving automated vehicles to fixed infrastructures) as well as application initialization times (e.g. both for on-board passenger infotainment systems, and high-speed VNF instantiation times). CHARISMA is creating a 5G networking infrastructure based on both technology and architecture innovations to provide an ultra-low latency 5G solution suitable for future ITS applications. At the physical (PHY) layer, a round-trip e2e latency time between user equipment (UE) and central office (CO) of 6.69 ms has recently been achieved, using ultra-high speed routing at the TrustNode router. Further details can be found in Project Deliverables D1.1, D1.2, and D1.3. An important requirement for mm-wave RAN is the capability to integrate it into the overall 5G system. The mmMAGIC project provided concepts and solutions for integration of mm-wane RANs which address the requirements of various relevant use cases and deployments. Six architectural enablers and several supporting RAN and transport functionalities have been defined in the project. The enablers multi-connectivity, cell clustering, enhancements of mobility state transition, self-backhauling, network slicing and interference coordination are essential functional blocks needed for integration. With these enablers integration concepts for different deployments either as standalone mm-wave systems or in combination with low frequency band systems have been evaluated. The concept of tight interworking with legacy LTE systems is an example for the achievable performance benefit with proper integration. As a framework to support integration with other existing or future systems a multi-RAT multi-layer management concept for 5G has been provided, which exploits information on data rate, latency, reliability and key performance indicators for optimized integrated user connectivity. Further details can be found in Project Deliverable 3.2 ! FANTASTIC-5G developed new waveforms that overcome the demerits of CP-OFDM (the 4G waveform) in terms of poor spectral containment, lack of robustness in highly asynchronous and high mobility scenarios, as well as inflexibility for the support of diverse numerology. This is obtained by applying two categories of filtering: subcarrier-wise filtered solutions and subband-wise filtered solutions. Common to all is the amelioration of spectral localization of the signal power, which improves the performance particularly for MMC, MCC and V2X services and ensures an efficient coexistence of these services with MBB service. Further details can be found in Project Deliverable D3.2. The Project designed an air interface for the mm-wave (6-100 GHz) specific challenges, including propagation channel, hardware impairments/constraints, bandwidth, power efficiency, deployment aspects and frequency band availability. Thus, a scalable OFDM waveform is proposed for all transmissions, together with a numerology based on the LTE numerology that should scalable according to 15×2^n kHz. A variable frame structure architecture is suggested allowing for downlink only subframes, uplink only subframes, mixed subframes, as well as mini-slots. LDPC codes should be used for data transmission and Polar codes for control information. For both codes, low complexity and robust decoders have been developed. Front-loaded demodulation reference signal (DMRS) and phase tracking reference signal (PTRS), beamformed synchronization and CSI reference signal (RS), beamformed control channel with diversity, process aware acknowledgement (ACK) have been proposed. Always-ON reference signals should be avoided for energy efficiency reasons. A novel adaptive and asynchronous retransmission protocols for single hop and multi-hop scenarios based on LTE is proposed. Due to extensive use of beamforming in mm-waves multiple access in spatial domain (SDMA) is a recommended. Efficient integrated access and backhaul operation is enabled by a conflict graph based joint scheduling scheme which exploits SDMA and dynamic TDD. For initial access, sophisticated beam sweeping strategies and the corresponding PRACH preamble design has been proposed. In support of the 5G standardization activities, mmMAGIC conducted more than 20 measurement campaigns in the targeted frequency range between 6 and 100 GHz for outdoor and indoor propagation scenarios. Calibrated with the measurement results, supplementary ray tracing simulations were performed to generate large data sets for the derivation of additional parameters for stochastic modelling. The developed mmMAGIC channel model provides major improvements regarding the incorporation of ground reflection and blockage effects, the support of large bandwidths and large antenna arrays, the provision of spatial consistency, and enhanced outdoor-to-indoor penetration loss modelling. Several mmMAGIC approaches have been adopted by 3GPP and ITU-R and are reflected in the latest respective channel models [mmMAGIC-D2.2]. An open source implementation of the mmMAGIC baseline model and selected additional features is provided as part of the new QuaDRiGa release v2.0 (http://quadriga-channel-model.de). The software enables link and system-level evaluations with arbitrary antenna configurations and incorporates the mmMAGIC parameter tables. Further details can be found in Project Deliverable D2.2 ! The commercialization and deployment of 5G systems is driven by the need to support very high connection densities to make the Internet of Things serviceable. Massive connectivity is supported by new air interfaces that should optimize the available radio and infrastructure resources, spanning areas from protocol enhancements and radio resource management to waveform design. A new waveform design is proposed for asynchronous small packet transmissions in the uplink. Because of the superior spectral properties of certain waveforms, the need for tight temporal synchronization of users can be relaxed. This allows compressing or even avoiding broadcast messages, thus leading to energy and radio resource savings. In addition, new, “one-stage” access protocols are being developed, in which access notification and data delivery are performed in a single transaction by means of one or more consecutive packets or in a single transmission thereby reducing signalling overhead for short messages. Further details can be found in Project Deliverables D3.2 and D4.2. Interference is one of the most limiting factors in cellular wireless communications, especially at the cell edge. FANTASTIC-5G has dealt with this problem in various ways: FANTASTIC-5G has investigated the statistical properties of inter-cell interference (e.g. DIR – dominant-interference-ratio) providing means to decide for the relevant dynamics of interference management/cancellation. Furthermore, FANTASTIC-5G has developed a Framework for (massive) MIMO + CoMP in FDD/TDD downlink with hybrid beamforming. This framework makes MIMO system both efficient end effective and consists of 9 relevant techniques (e.g. 2-stage beamforming, multi-user treatment, coded CSI-RS, etc.). This framework is able to harvest on the promised gains (8-10 times higher gross spectral efficiency than LTE 8×8) while keeping overhead reasonable (5-10%). FANTASTIC-5G has investigated the ability of FQAM to shape intercell interference in an advantageous way. Finally, FANTASTIC-5G has looked into 6 different intercell-interference coordination techniques and has identified the means required by the network and by the user equipment to implement those and has identified the required mechanisms to be included to the standard. Further details can be found in Project Deliverable D4.2. SPEED-5G through eDSA (extended DSA) proposes resource management with three degrees of freedom: (i) densification; (ii) rationalized traffic allocation over heterogeneous wireless technologies, and (iii) better load balancing across available spectrum. As a result, SPEED-5G solutions address resource management techniques across technology ‘silos’ (e.g., technologies focusing on licensed, lightly-licensed and unlicensed bands), and medium access technologies to address densification in dense environments. Further details can be found in Project Deliverable D4.1, Deliverable D4.2 and Deliverable D4.4. One of the key aspects considered within COHERENT architecture with regard to the virtualized networks coodrinated and controlled by the logically centralized entity (called Centralized Coordinator and Controller, C3) is the effective management of spectrum resources. In this approach, spectrum management can be treated as the application that communicates with the C3 entity about the ways how the spectrum resources, available at the certain time and location, can be utilized. The spectrum management system considers all possible licensing scenarios and radio access technologies, and can incorporate easily all forthcoming regulatory guidelines or other legal decisions. In the proposed virtualized scenario, the scheduling of the virtualized resource blocks is envisaged, also including application of the network graph theory. Further details can be found in Project Deliverable D4.1 and Project Deliverable D4.2 ! SPEED-5G works on new DCS-MAC design features (Dynamic channel Switching (in licensed or unlicensed & between the two), Resource Aggregation (inter & intra-band) and Offload capability). Also, FBMC-MAC design features (load balancing and carrier aggregation through use of secondary unlicensed carrier) are considered in the work of SPEED-5G. Further details can be found in Project Deliverable D5.1 and Deliverable D5.2. The full duplex technology developed in Flex5Gware provides gains in the user data rate of up to 50 % and in aggregated data rates (in a multiuser setting) of up to 21 %. Moreover, the main advantage of the work carried out in Flex5Gware with respect to prior art is that the proposed full duplex architecture is based on a conventional multiple-input multiple-output (MIMO) hardware architecture, which implies that no significant changes in the hardware will be required to endow MIMO transceivers with full duplex capabilities. Further details can be found in Project Deliverable D3.2 and Project Deliverable D6.2! Flex5Gware researchers have proposed an architecture design for the transceiver of medium range base stations that supports three radio bands together with a design of a multiband high-power amplifier with an output power of 53 dBm. The presented three-band transceiver solution considers radio bands defined for mobile communication (E-UTRA band 7 and 38 at 2.6 GHz and band 22 and 42 at 3.5 GHz) and one band between 2.7 and 2.9 GHz, which is discussion to become available during the next years. Further details can be found in Project Deliverable D2.2 and Project Deliverable D6.2! Flex5Gware researchers have proposed a context-aware, cognitive and dynamic HW/SW partitioning algorithm for 5G network elements. This algorithm exploits knowledge (e.g. prediction of a hotspot) derived by network and sensor measurements and decides upon the HW or SW execution of functions in order to fulfill and maintain the application goals. The algorithm leads to high flexibility, performance and energy efficiency. Further details can be found in Project Deliverable D4.2 and Project Deliverable D6.2! 5G achieves integrated management of physical and virtual infrastructures, which enables automated deployment of 5G infrastructures and services running on top of them, including virtualisation services, cloud computing, Mobile Edge Computing (MEC), SDN/NFV services and value-added services such as Service Function Chaining (SFC). Consequently, the creation and deployment time for infrastructures and their services are greatly reduced, from days to minutes. In addition, a 5G topology viewer allows visualising correlated physical and virtual infrastructure elements and mobile users’ connectivity in real time. SESAME designed the Small Cell prototype to be implemented for the PoC demonstration and it employs the MOCN protocol that helps to accommodate multi-tenancy in shared RAN. The key challenge has been to distinguish between per-tenant virtualized Small Cells from the real Small Cells substrate managed by the CESC Radio Access Manager. This leads to decoupling the management of virtual Small Cells (CESC EMS Virtualization) from the platform itself. Virtualized functions include performance indicators, giving a per-tenant view of subscribers’ data volumes, handover failure rate, as well as other typical network performance parameters. Also, load management and automatic neighbor relationships (to tune RAN parameters that facilitate the coexistence between Small Cells), or forwarding path control, are also some of the functions managed by the CESC EMS Virtualization and were investigated. Further details can be found in Project Deliverable D3.1 . mmMAGIC project has investigated the analogue, hybrid and digital beamforming architectures and schemes for mm-wave access, backhaul and relay applications. After extensive studies, the project would recommend Hybrid beamforming (multi-antenna) architecture for most of the radio access applications. Hybrid beamforming provides flexibility to cater for different cost/complexity and performance trade-offs and is more resilient against the effects of hardware impairments and the unpredictability of the mm-wave radio propagation. Within Hybrid beamforming, the project further proposed a sub-array architecture, where a given RF chain is only connected to a sub-set of the antenna elements. It was shown that when considering the combiner losses, the sub-array architecture can perform as well as or even better than the fully connected default hybrid architecture. Within backhauling, mmMAGIC project looked at utilizing a massive number of antenna elements for short range LoS backhauling applications. The project proposed a novel, simplistic channel decoding algorithm based on DFT (named B-DFT-SM-MRT) which can achieve up to 85% of the SVD decoding based capacity with only a fraction of the complexity. This scheme’s performance was validated with realistic channels generated through indoor and outdoor ray tracing. In relay schemes, the project proposed a novel ad-hoc user selection scheme to serve as a one-hop relay. The selection based on user location (spatial vector codebook) and the SINR levels would achieve significantly higher system throughput than random relay user selection. Further details can be found in Project Deliverable D5.2 ! Innovative architecture design for 5G transport networks targeting the integration of existing and new fronthaul and backhaul technologies and interfaces. At the heart of the design lie: (1) an SDN/NFV-based management and orchestration entity (XCI – Crosshaul Control Infrastructure); and (2) an Ethernet-based packet forwarding entity (XFE – Crosshaul Forwarding Element) supporting various fronthaul and backhaul traffic QoS profiles. The XCI leverages widespread architectural frameworks for NFV (ETSI NFV) and SDN (Open Daylight and ONOS). Further details can be found in Project Deliverable D1.2. Development of a multilayer data plane architecture, including circuit- and a packet- switched paths. This two-paths switching architecture is able to combine bandwidth efficiency ( through statistical multiplexing in the packet switch) while deterministic latency is ensured by the circuit switch. The modular structure of the 5G-Crosshaul switch, where layers may be added and removed, enables various deployment scenarios with traffic segregation at multiple levels, from dedicated wavelengths to VPNs, which is particularly desirable for multi-tenancy support. 4-5 times fronthaul compression achieved without compromising the radio performance. Exploits large redundancy identified in time-domain FH, mainly in over-sampling and over-quantization. Further details can be found in Project Deliverable D5.2. Active/passive optical technologies for converged FH/BH services including (1 )Passive WDM-PON technology featuring 25 Gbps/wavelength, colorless ONU deployments and dynamic ONU switch-off for energy saving and (2) Active optical technology based on TSON (Time Shared Optical Networks) featuring elastic allocation of optical BW (in time and frequency through elastic grid), native mapping of Ethernet and CPRI and synchronization. Further details can be found in Project Deliverables D2.3, D4.1, D4.2 and D5.2 . SDN based control plane unifying high capacity P2MP LoS mmWave radios and Sub6 NLoS radios for the wireless BH, featuring (1) Openflow extensions/NETCONF agents for the mmWave and Sub6 radios and (2) Common SDN controller implementing Traffic Engineering applications for the wireless BH, including Load Balancing, interference aware scheduling, and fast re-route. Further details can be found in Project Deliverables D 2.3, D3.2, D4.3, and D5.1 . 5G expects autonomic network management to improve network performance whilst reducing OPEX. 5G autonomic network management is powered by artificial intelligence and will substantially extend the current 4G Self-Organising Network (SON) concept in the physical layer to both 5G physical and virtual domains. A SON engine centric framework creates an autonomic control loop to significantly simplify network management tasks and minimise human intervention and labour in trouble-shooting complex network problems and even avoiding potential issues. Representative use cases include Self-healing against network failures or vulnerabilities for improved reliability, Self-protection against cyber-attack threats for improved security, and Self-optimisation against network constraints for improved users’ QoE. SPEED-5G proposes resource management solutions which can be provided in a distributed manner in order to enhance robustness and flexibility (compared to centralized management). In this respect it proposes algorithms for RAT/spectrum/channel selection in dense environments where various RATs coexist. Further details can be found in Project Deliverable D4.4 and Deliverable D6.3. CogNet’s architecture leverages the NFV architectural framework of ETSI and adds machine learning capabilities. A data collector from the NFV/SDN-based environment gathers state and consumption records from hardware resources in real-time. Our CogNet Smart Engine (CSE) processes these periodically or in (near) real-time, to generate insights or to recommend policies. Real-time analysis is a core contribution of our work. This is critical if 5G networks are to adapt quickly to changes in resource demand. The CSE also transmits scores/events to a policy engine which sends mitigating actions to the managed environment. Further details can be found in Project Deliverables D2.2 and D6.3. To support autonomous network management, CogNet’s work channels the MAPE-K autonomic loop: Monitor: information (metrics, topology, configuration parameters, etc.) is gathered from the managed system and its environment; Analyze: determine need for adaptation of managed system with respect to the adaptation goals; Plan: devise adaptation actions to achieve the system goals, with output sent to the Policy Engine; Execute: actions are executed to adapt the system as needed. Consequently, managed network resources, such as VNFs and NFVi, are adjusted though MANO and other controllers based on the recommended actions. The knowledge in the MAPE-K loop represents the knowledge shared among the monitoring, analysis, planning and execute parts. It comprises shared data, such as topology information, metrics, historical logs and policies. Further details can be found in Project Deliverables D4.3, D5.4, and D6.3 . 5G network self-monitoring collects and analyses performance metrics at multiple levels: physical infrastructure, virtual infrastructure and traffic flows with multi-tenancy awareness, thereby enabling timely situation awareness of 5G network infrastructures and services. A set of key, high-level Health of Network (HoN) metrics are modelled and introduced, and example HoN metrics include Virtual Infrastructure Vulnerability, Cyber-Attack Risk, and Video QoE. These innovative, customisable and extensible HoN metrics greatly facilitate speedy and more precise identification of common network problems. Further details can be found in Project Deliverable D4.1 ! SONATA has developed a flexible NFV MANO Service Platform for NFV that is built on a micro-service architecture and released as open-source software under the Apache 2.0 license. The Service Platform operates and manages the lifecycle of network service on top of a virtual infrastructure manager, like OpenStack. To this end, it deploys the virtual network functions as virtual machines and steers the traffic by implementing service function chains. In addition to the management, the service platform allows for extensive monitoring and analysis of network services to make smart decisions, e.g., for placement and scaling of virtual machines. One of the key innovations and outstanding features of the Service Platform is the support of so-called Service Specific Manager and Function Specific Managers. The managers are highly specialized pieces of software, which execute complex functions tailored to a network service, but run as Service Platform plugins. Thus, a service developers can ship Service Platform plugins together with their service function and modify the behavior of the Service Platform in a standard and secure way. Obviously, this increases the flexibility of the Service Platform significantly. Further details can be found in Project Deliverable D4.3 ! The functionality of GTP de-capsulation and encapsulation is carried out by the OVS node using a patch of the OVS open source software. This functionality is crucial for SESAME not only to demonstrate vCache, but to enable multi-tenancy and different functional splits. The above process has been already tested and validated in order to guarantee the smooth integration of the small cell with the resources of the attached micro-server. Therefore, the flexible design of the SESAME platform and the associated VNF functionality promotes a shared virtualized infrastructure, i.e., a cloud environment, right at the network’s edge. This will allow multiple network services to be deployed at a lower time scale. Further details can be found in Project Deliverable D5.1 . The SONATA project developed their service platform with the goal of bringing DevOps to NFV MANO platforms allowing such platforms to keep up with the rapid pace of changing NFV concepts, architectures, technologies, platforms, and standards. To that end, a continuous integration / continuous deployment pipeline has been defined that allows developers to frequently update and publish their code to platform users. Due to the DevOps approach, developers quickly receive feedback on their changes. The approach is supported by allowing service developers to create, ship and deploy service-specific management plug-ins which modify the behaviour of the MANO system. Feedback to developers is enabled by a Monitoring Framework which collects and processes data from several sources, allowing developers to dynamically activate monitoring data collection. 5GEx has developed the split of Network Function Virtualization Orchestrator (NFVO) into Network Service Orchestrator (NSO) and Resource Orchestrator (RO) for multi-domain interaction. Building on this split of functionality, 5GEx has introduced resource Slice as a Service (SlaaS) for multi-domain RO-RO interworking. While the ETSI NFV framework architecture has assumed so far that the NSO and RO functions are played by a single entity (the NFVO), the ETSI NFV has recently approached a similar NSO-RO functional split for single administration. Initial design and deployment of a large scale test-bed (the 5GEx sandbox) connecting 13 sites, including 4 operators providing the connectivity backbone, and emulating realistic Internet topologies today. The sandbox is a key innovation instrument to allow network service and applications providers to innovate in the area of multi-domain services provisioning. This enables the validation of new services in real-life situations. The sandbox will include the implementation of the designed software for the Multi-domain Orchestrator (MdO), leading to the deployment of a multi-domain, multi-technology testbed to validate and assess the improvement of the MdO, and will be measured using several KPIs. The combination of partner’s lab platforms seeking to emulate real production networks forms the sandbox exchange in order to experiment and provide a platform at a large scale with all developed 5GEx technologies. While production networks and data centres are not fully available or accessible, the lab platforms reflect the architecture and engineering rules of production networks in order to provide a sandbox exchange. NFV can be used to support highly dynamic scenarios, in which the VNFs are instantiated “on the fly” following the service requests. VNFs tend to become small and highly specialized Micro-VNFs, i.e., elementary and reusable network elements. Complex services can be built through the “chaining” of these Micro-VNFs. Different virtualization approaches can be used to support these micro-VNFs: Tinified VMs and unikernels. –Added Unikernels have very important properties allowing to reduce the service deployment. They offer very good performance in terms of low memory footprint and instantiation time. The recent measurements conducted in the project using ClickOS, a Xen-based unikernel, demonstrate a small footprint (around 5 MB when running) and an instantiation time around 30 milliseconds. Further details can be found in Project Deliverables D2.2, D3.1 and I5.2b . This Integrated SDN/NFV Apps Management provides common Apps lifecycle mechanisms and procedures for various kinds of Apps including VNFs, SDN Apps, SDN controller Apps, and Physical Network Functions (PNFs) for backward compatibility. It is fully automated lifecycle management of NFV and SDN applications, from Apps encapsulation, onboarding, and instantiation to deployment, configuration, update/modification and termination. New Apps are made available in the system (and ready for deployment) with one-click action from the SELFNET GUI. The design takes a plugin-based approach for high extensibility. The SONATA Service Platform is complemented by the SONATA Service Development Kit that aims at fast implementation, testing, and debugging of virtualized network functions and services. To this end, the SDK supports the creation of function and service descriptors as well as service packages which are uploaded to the Service Platform and used to manage the lifecyle of complex network service. Moreover, the SDK offers features to test, profile, and debug network services locally by using a Service Platform emulator that mimics the behavior of the actual Service Platform locally, say on a developer’s laptop. The knowledge gained by these local tests simplify the function and service development, shorten the time-to-market, and at the same time, increase the quality of the resulting product. Finally, the SDK interconnects tightly with the Service Platform and allows to monitor running services in real time. To this end, it enables the developer to collect important data and offers tool to analyze the data in order to debug or improve the service, for example in terms of performance. Further details can be found in Project Deliverable D3.3 ! Superfluidity develops a framework to automatically map service level Key Performance Indicators (KPIs) to the platform level parameters in the host compute environment. The framework enables the identification of platform features, which most significantly influence the KPIs for a given workload under test. Full stack monitoring is used to capture a telemetry data ranging from low-level hardware metrics to higher-level applications metrics. The data is analyzed using an analytics pipeline which identifies the most significantly correlating platforms metrics with service KPI’s, based on the use of eight ranking algorithms with a reliability scoring mechanism. The eight algorithms implemented to date are a mixture of clustering and machine learning classification approaches. In 5G networks, network functions will be instantiated dynamically, and the network will run services configured not only by the operator, but also by third parties which open the door to many security risks. To enforce security in 5G networks SUPERFLUIDITY takes these directions; 1) Describe operator policies in a high-level specification language; 2) Describe RFBs in a way that is amenable to static analysis through the use of Symbolic Execution Function Language; 3) Perform static analysis of RFB configurations to ensure policy is obbeyed before deployment using SymNet tool (SymNet can run reachability checks over network models by injecting symbolic packets and tracking their path through the network); 4) Ensure that the implementation conforms to the specification at deployment time. Further details can be found in Project Deliverable I6.3b . 5GEx has broken down the multi-domain orchestration process into the main functions relevant to a multi-provider multi-domain environment: Discovery, bilateral negotiation, provisioning and assurance stages with their corresponding multi-domain reference points in a detailed multi-domain orchestration architecture. The 5G NORMA service and domain aware orchestration is responsible, among other functions, for placing virtualized functions in the most appropriate location. Herein, it takes into account the requirements of the corresponding service that needs to be satisfied, the constraints on the placement of functions that interact with each other and the features of the underlying infrastructure. Orchestration takes place end-to-end, spanning the whole mobile network from the user to the packet data network respectively to the service provided for the user. Accordingly, end-to-end orchestration typically involves multiple stakeholders spanning infrastructure provider, mobile service provider and tenant, allowing different network slices to have their own MANO stack implementation. VirtuWind investigates also use cases where different stakeholders of industrial infrastructure are managing their assets. By the example of wind park operation, VirtuWind demonstrates, how the VirtuWind solution supports multi-tenancy and deployment of virtual tenant networks. VirtuWind will demonstrate service deployment during trials in a real wind park by operating the wind park control over an SDN controlled industrial network. 5GEx is developing a bottom-up proof of concept prototype of the multi-provider, multi-domain orchestration as an integration of the major concepts from FP7-UNIFY, FP7-T-NOVA, ETICS projects and advanced transport control. Further details can be found in Project Deliverables D3.1, D3.4, and D3.7 ! CHARISMA 5G leverages on the open access concept and extends it to network slicing to offer multi-tenancy. That is, it allows infrastructure owners to dynamically share (control, manage, orchestrate) their resources, virtual and physical, in an isolated manner (network slices), among several network operators to offer different customized services to their end customers. This is achieved with the help of an Open Access Manger (OAM) module which is responsible for the lifecycle management of network slices including communications with network, cloud, or device controllers for creation and operation of a slice and exposing it to upper layers for dynamic service provisioning. Further details can be found in Project Deliverables D3.1, D3.2, and D3.5 ! Starting from additional use cases defined to illuminate 5G Security issues, 5G-ENSURE has advanced 5G Security Vision and initiated a Technical Roadmap on security enablers of major areas of concerns (namely AAA, Privacy, Trust, Security Monitoring and Network management and virtualization) as confirmed by Open Consultation ran publicly on 5G Security in 2016 with support of other projects. This Technical Roadmap on 5G Security was used to describe each of the enablers, on a per category basis, in terms of product vision as well as features offered and their scheduling over the two software releases planned within the project (R1 delivered in Sep’16 vs R2 planned in Aug’17). Regarding 5G security enablers delivered by 5G-ENSURE they come with open specifications for anyone interest to come up with its own implementation and are obviously linked to major building blocks of the 5G Security Architecture defined and they contribute to. 5G Security enablers when software released (either open source or closed source based on decision left to enabler owner) also come with documentation (manuals) to integrate/deploy also make use of them within the 5G Security testbed according to use terms and conditions that apply. At the time of writing the 5G Security Technical Roadmap encompasses 24 enablers (R1&R2) of which 17 have already been specified, developed and released for testbed integration/deployment. Further information can be found in Project Deliverable D3.5 and Project Deliverable D3.6 ! The 5G test-bed has been designed and set-up to satisfy the requirements of the 5G security enablers against the threats emerging from identified use cases. Launched in 2016 and based on three interconnected nodes provided by b<>com, VTT and Nokia, the test-bed shows on a small scale what a 5G network could be like. It encompasses the following building blocks: (1) A cloud infrastructure providing computing, storage and network resources including Radio Access Networks, (2) An orchestrator to deploy and perform service chaining of Security Enablers and VNFs, the test bed offers a playground for identified use cases and (3) The test-bed currently promotes a DevOps approach for 5G from development to Continuous Integration & Deployment. On-going work focuses on the integration of VNFs based on OpenAirInterface, making it a core asset of the project. With more than 30 users, 17 enablers as of today are available in catalogue (100 % of Release 1). Further information can be found in Project Deliverable D4.5 ! The CHARISMA virtualized security solution targets virtualized security in terms of automated security management and virtual security functions (VSFs), with the former being realized with the help of Security Policy Manager and Service Monitoring & Analytics modules, with support from virtualized infrastructure (VI) security and VI monitoring; whereas the latter are implemented as VNFs which can be automatically provisioned through an orchestrator and virtualized infrastructure manager (VIM) in an NFV environment. Further information can be found in Project Deliverables D3.2, D3.4, and D3.5 ! QoS and service guarantees are a must for the use of programmable networks in industries. VirtuWind developed QoS mechanisms that enable the use of SDN for programmable industrial networks. The VirtuWind SDN controller takes QoS parameters such as latency and bandwidth into account for path calculation and flow embedding. Thus, industrial applications are empowered through NBI to request services qualities according to the industrial processes to be served. VirtuWind will demonstrate the SDN controller during trials in a real wind park by operating the wind park control over an SDN controlled industrial network. Further details can be found in Project Deliverables D3.2 and D4.1. Future industry scenarios foresee higher dynamics in service deployment compared to current application setups. The VirtuWind solution enables fast setup of end-to-end services in intra-domain environments (within an industrial network domain), as well as in inter-domain environments (in between industrial domains across different NSP domains). VirtuWind will demonstrate service deployment during trials in a real wind park by operating the wind park control over an SDN controlled industrial network.